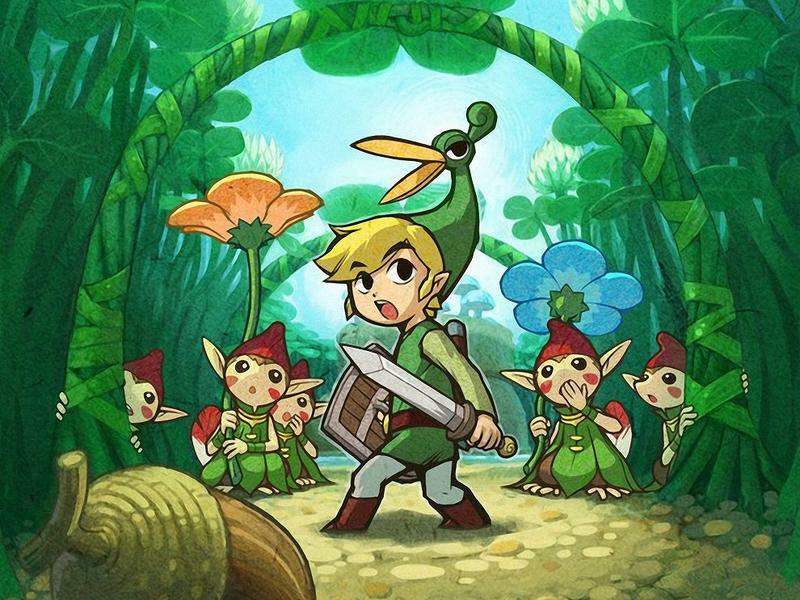 Legend of Zelda: The Minish Cap Coming to Wii U Virtual Console Soon? Executive Gaming Editor Joey Davidson and myself gave Nintendo's Virtual Console a good shellacking a few weeks back once Nintendo announced plans to put Game Boy Advance games on the Wii U home console. We came to the conclusion that Nintendo needs to catch up in sharing purchases between consoles and finding a new way to get users excited about classics like Sony has. Now, I don't think for a second that a single game is going to totally clear the air, but at least we'll be getting a few decent games out of it on the Wii U, one of which might be released in the coming weeks. The Legend of Zelda: The Minish Cap for the Wii U has gone live on Nintendo's Official Webpage, but no official release date has been assigned to it yet. I've had a go with a few Game Boy Advance games on the Wii U since our rant, and I am walking away a bit more impressed than I was expecting to, especially with Kirby & The Amazing Mirror. Thanks to M2, a company and an absolute wizard when it comes to porting and emulating old games, and its unprecedented handling of the Wii U's Game Boy Advance emulation, that game looks like it was built specifically for a 40+ inch TV. My feelings have softened since my gut reaction, and I believe there might be something to be found in this library. One final test remains for this Game Boy Advance emulation on the Wii U, though. I need it to impress me with a game that I absolutely love, and The Legend of Zelda: The Minish Cap is just that. Since it's the only original Legend of Zelda game for the Game Boy Advance, and it is surviving my nostalgia as a really good and unfairly overlooked game in the series, it seems about as good as any to give the Virtual Console a true place to show what its made of. I mean, if you can't do a Zelda game properly, what good are you? Keep an eye out for The Legend of Zelda: The Minish Cap in the coming weeks for the Game Boy Advance Virtual Console on Wii U. Also, if you are interested, check out Klonoa: Empire of Dreams, which went live with the eShop Update this week. It's not totally up to par with Klonoa's other great games, but it's a fun little puzzle platformer that could kill your wait time.